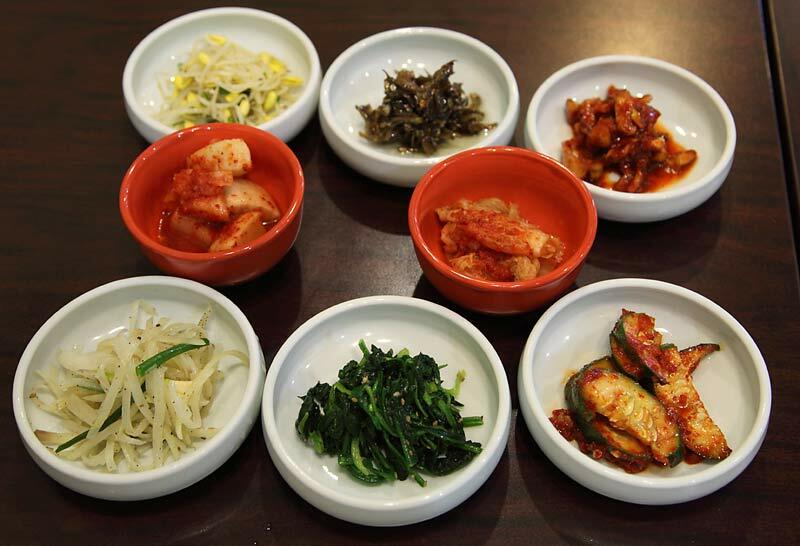 Cho Jung is a small, unassuming, no-frills shop in the back corner of a strip mall in Glenview. At a glance, there is a seemingly unending and growing number of Korean spots in north-suburban Cook County. Driving up and down Milwaukee Avenue, for example, one is presented with a dizzying number of Korean restaurants. But at the end of the day, it's only doing the legwork -- ducking into joint after joint -- that effectively susses out the best of the bunch. In the case of Cho Jung, my friend -- and fellow LTHer -- Pigmon did this legwork. He hit many of these spots and found a few that he believed were exceptional. Back in the fall of 2009, I was lucky enough to tag along with him for a lunch at Cho Jung. After that very first time I ate there, which I enjoyed immensely, I began eating there every once in a while, recommending it to friends, etc. Happily, about a year ago, my job moved me from Highland Park to Niles, and also to less than 10 minutes from Cho Jung. I now eat there a few times a month and find it hard to go to any other Korean spots in the area. I've eaten at at least a dozen of them, all within a few miles from my office, and haven't felt compelled to post about many of them (there are definitely some good ones but this is not the thread for discussing those places ). However, Cho Jung continues to stand out, especially for their soups & stews but also for their panchan and a few other items. There's almost nothing I crave more often than their Soondubu Jigae. 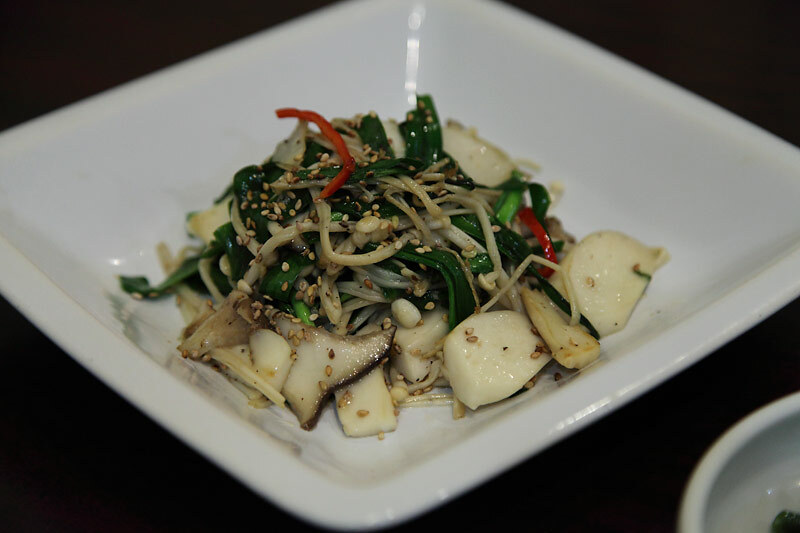 The soft tofu in it is wonderfully silky, the broth is potent, spicy, deeply flavorful and clean. The varied seafood in this bowl -- clams, shrimp, octopus, squid, etc. -- is delicious and generously portioned. I've now remembered to always ask for the egg that comes with this soup as a raw egg on the side. When the bubbling bowl is served, I immediately crack the egg into the soup, mix it in and let it thicken. 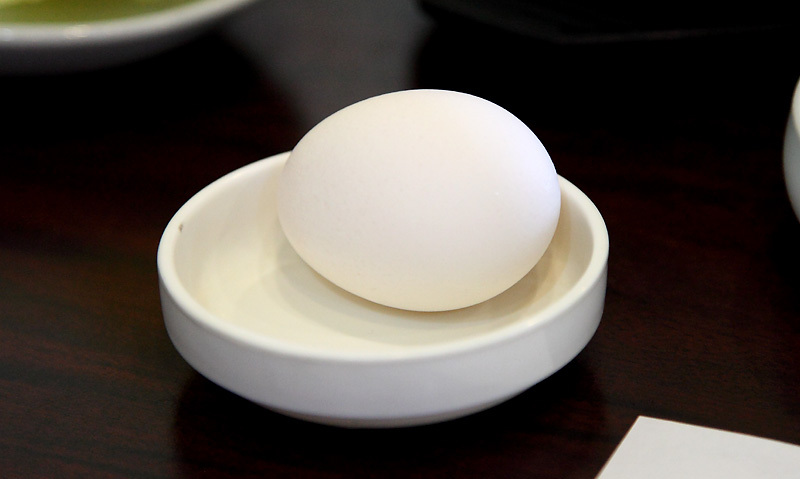 The egg imparts a fantastic richness to the broth, which is lost if the egg cooks through before it's mixed in. Then, as quickly as I can, I remove the shrimp from the piping hot broth so they don't overcook. The rice served with this soup (and all the others) is tender and flavorful. It's as important to the soup as bread is to a sandwich, and Cho Jung treats it as such. 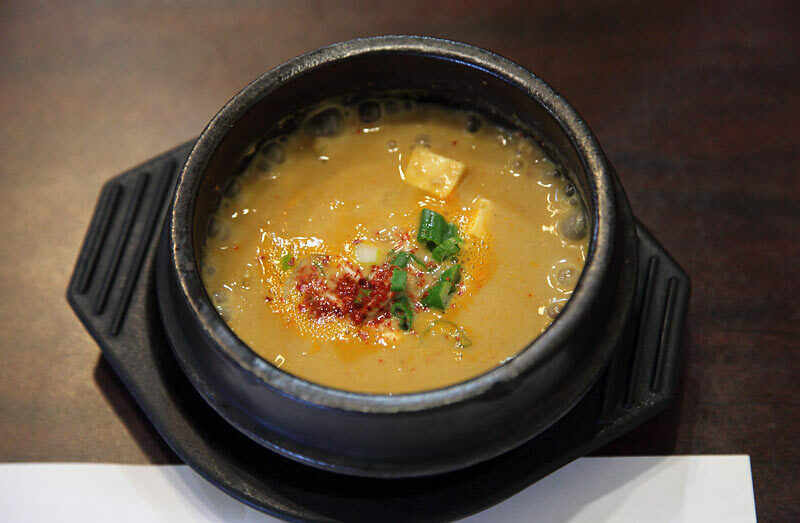 As much as I love the soondubu, there are also several other soups that I love at Cho Jung. The Spicy Beef Soup with Leeks and Spicy Pork Neck Soup are both tremendous, too. 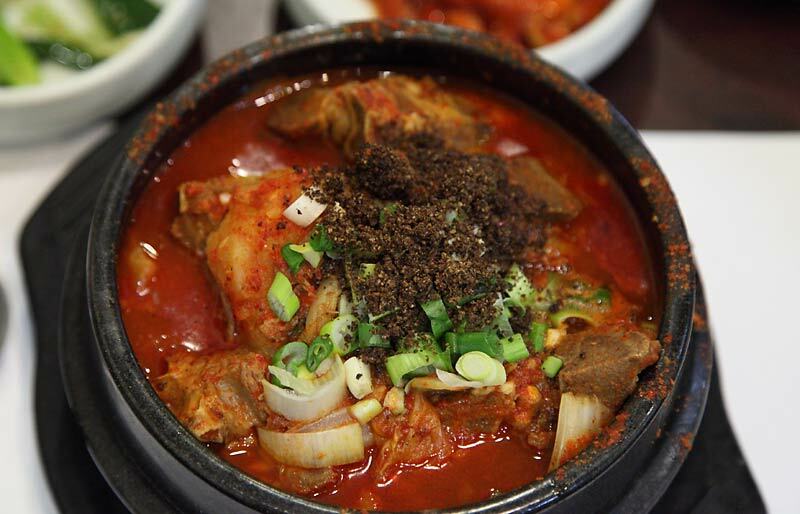 Both broths are deeply flavorful; their spiciness is up front and the bowls are always generously filled with carefully prepared feature ingredients. The Spicy Pollack Roe soup is my favorite version in town. The panchan are also great. The rotation changes fairly often and while it's not a huge array, the offerings are delicious and very well made. Some of them I see on almost every trip, others, only once in a while. The throughline is that they're all really well-made. 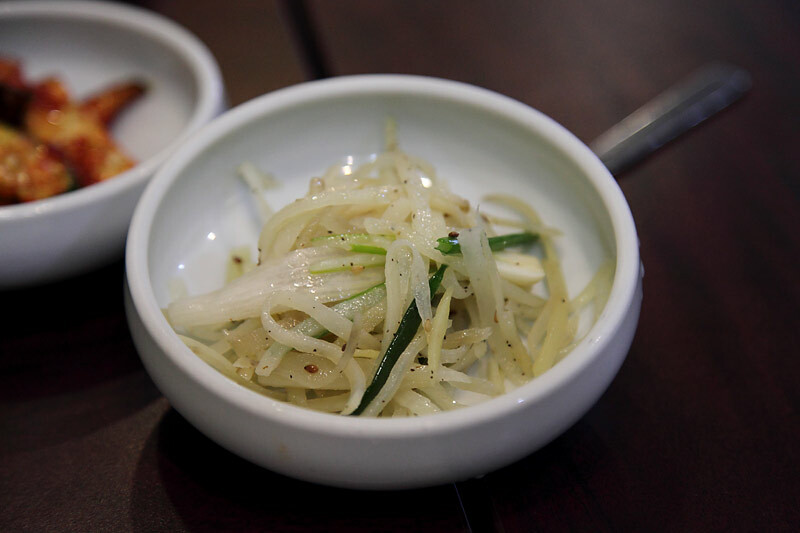 Even in areas outside of Cho Jung's specialization, numerous dishes stand out. Their seafood pajeon is as good a version as I've had in town. It's light and crispy, and chock full of great, fresh seafood and partially charred, aromatic scallions. 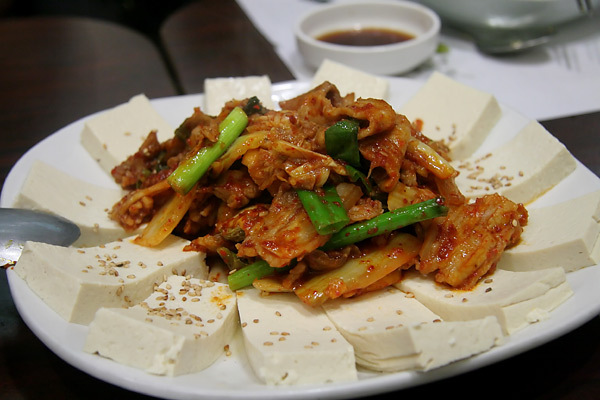 Another dish, tofu with pork and kimchi, is very tasty. 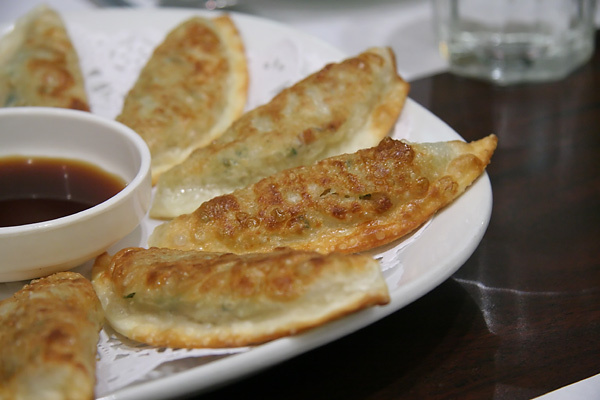 The mandoo -- both the light and crispy fried version and the tender steamed version -- are consistently delicious. 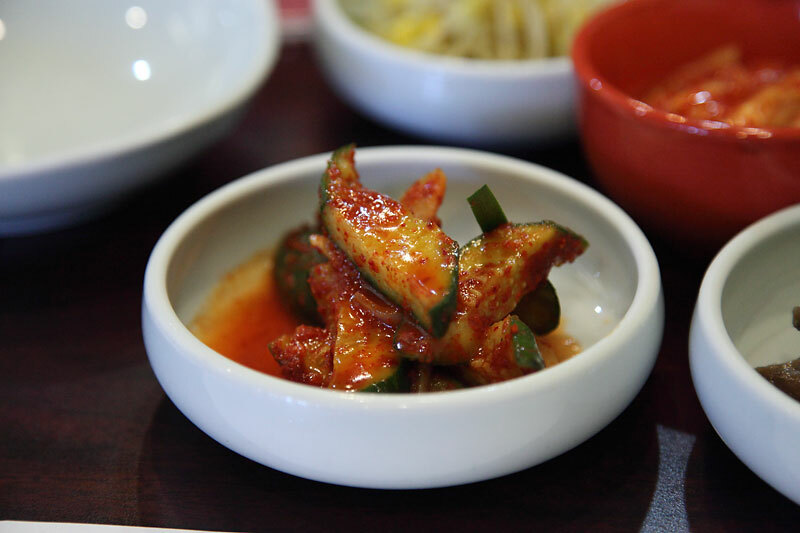 A few images of Cho Jung dishes described here . . . This thread documents a moderately successful group meal there well over 2 years ago at which I don't think we did a particularly great job of ordering to the restaurant's strengths (which were not entirely known to us). Still, I didn't want to leave it out, even though I'm not sure how relevant comments with such age on them actually are in the current GNR discussion. Admittedly, there isn't a ton of current discussion on the main Cho Jung thread but what little is there has been very positive. I'm honestly not sure if there's enough support here to justify a GNR for Cho Jung. I certainly hope there is but at the very least, I hope this nomination will get LTHers who've never been -- or those who quickly dismissed it after 1 not-so-well organized/executed dinner -- to give it shot, especially during the discussion period. The place is a gem and the folks who run it are extremely humble and nice. I get the sense that receiving a GNR would mean a great deal to them. That's certainly not a requirement for a GNR but of all the places I was thinking about nominating this time around, it's the most true of Cho Jung and it's the reason I chose to nominate it. Over the past couple years, I've fallen in love with Cho Jung and I'm confident that when other LTHers try it, they will too. I most definitely support this nomination. Cho Jung is a real favorite of mine as well, in fact, it was on my short list of places I was thinking about nominating. I'm glad to see that Ronnie beat me to it, because he's taken such lovely pictures of so many of his meals there. I get the feeling that the people at Cho Jung are a little surprised at the amount of attention they are starting to get from the non-Korean community and are very appreciative. If anything, they have stepped up their game when it comes to presenting their dishes in a very authentic and non compromised way, something not always true at other ethnic places. 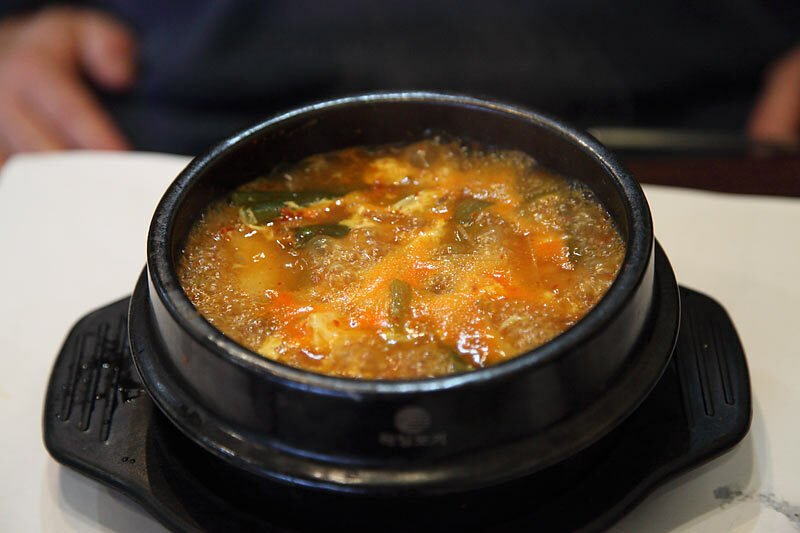 The soups at Cho Jung are a frequent craving for me, especially during the cold weather season. I know I'll be there again sooner rather than later. I've only been once, for the LTH lunch in December but few meals in the past year (or more) were more memorable or satisfying. And again, it is a place that I would never have found without the "neighborhood" that is LTH which is what GNR means to me. I had a short list of 4 this year, and this was on it. I've been impressed for several years and don't post enough; they're right outside the entrance to a cousin's subdivision and I'm occasionally guilty of being late or leaving early for family visits when a panchan craving strikes. 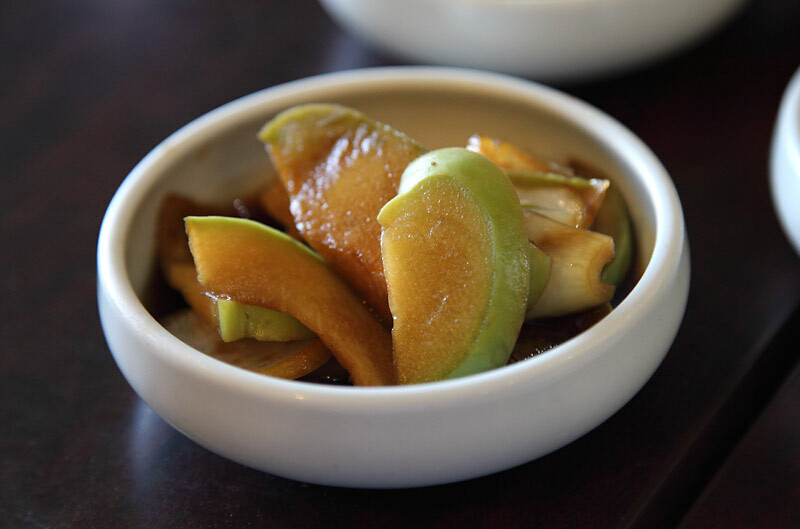 I was hooked at first bite of the acorn jelly salad, which is as far from personally-familiar a new taste and texture as I've had in Chicagoland. I'm shocked how many ingredients they have in routinely excellent condition from their larder; I'd trust a state dinner to their management. An excellent nomination. Having been uprooted as a youth living on the lake and forced into suburban relocation, the bad taste stayed w/me for yrs. As a result, it's rare that I go to the suburbs on purpose. 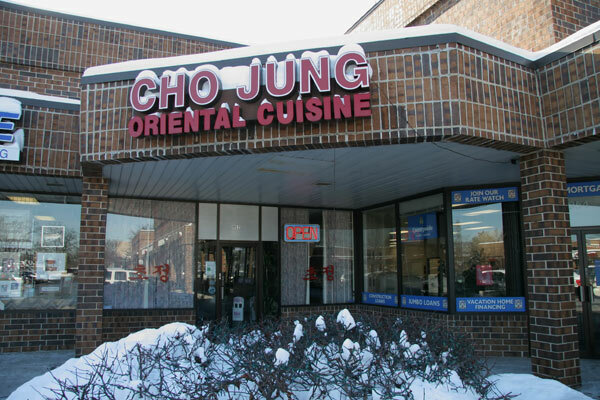 Besides Ronnie's house and Katy's, Cho Jung is among my favorite suburban locations. Pigmon took me for soondubu a few yrs back and I've been going back ever since. I can't say I get there that often, but the meals I've eaten there have been excellent and more importantly, crave-able, to me a sign for GNRdom. Kam se hom ne da (or thank you) for the nomination. Yes. There are a number of very good reasons why I’m willing to make routine 40-mile roundtrip drives to Cho Jung in Glenview from Chicago. 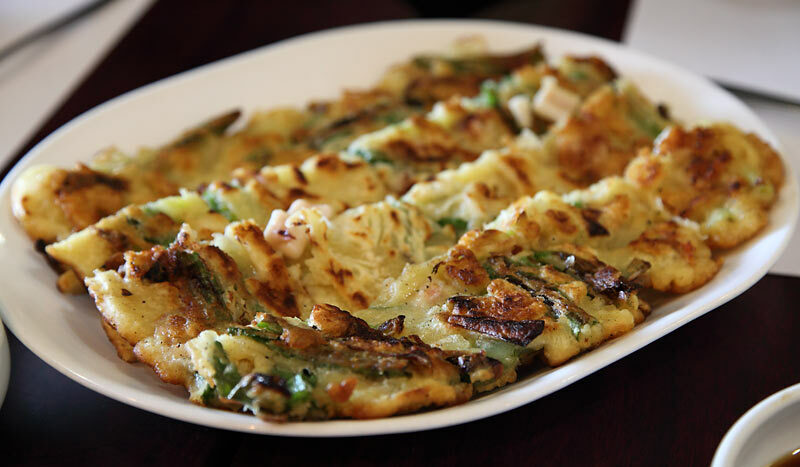 Besides having the absolute best spicy soft tofu soup (soon dubu jigae) in town, their seafood pancake (pajeon) and daily panchans also can't be beat. 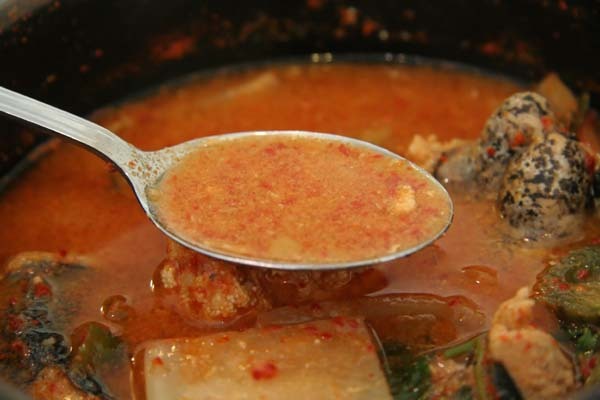 Other soups/stews such as the spicy pollack roe stew (altan jigae) and spicy pork neck soup (gamjatang) are also quite good. 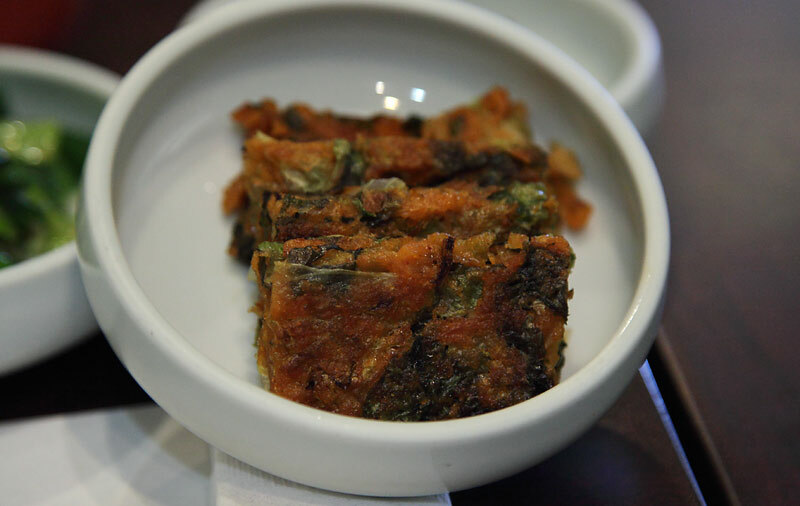 It’s the little touches such as making available brown rice upon request, making their own homemade mandu or serving some sort of daily panchan not commonly seen elsewhere that makes Cho Jung the definition of what a Great Neighborhood Restaurant should be all about. If you like Korean cuisine and haven’t tried Cho Jung yet, it’s certainly worth at least one visit. But don’t try the bulgugi or kalbi. You’ll just be missing the point. The pictures look exactly like my late and lamented local lunch spot - Cho Dang Tofu Village. So much so that I wonder if they are related? Maybe not, of course, since this particular type of Korean health food is not unique to either place, just sort of rare around here. I was so sad that Cho Dang was sold and the new owners lost focus. Guess I need to get to Cho Jung, and also check back to see if the new Cho Dang has improved. dicksond wrote: The pictures look exactly like my late and lamented local lunch spot - Cho Dang Tofu Village. So much so that I wonder if they are related? Maybe not, of course, since this particular type of Korean health food is not unique to either place, just sort of rare around here. I was so sad that Cho Dang was sold and the new owners lost focus. Guess I need to get to Cho Jung, and also check back to see if the new Cho Dang has improved. 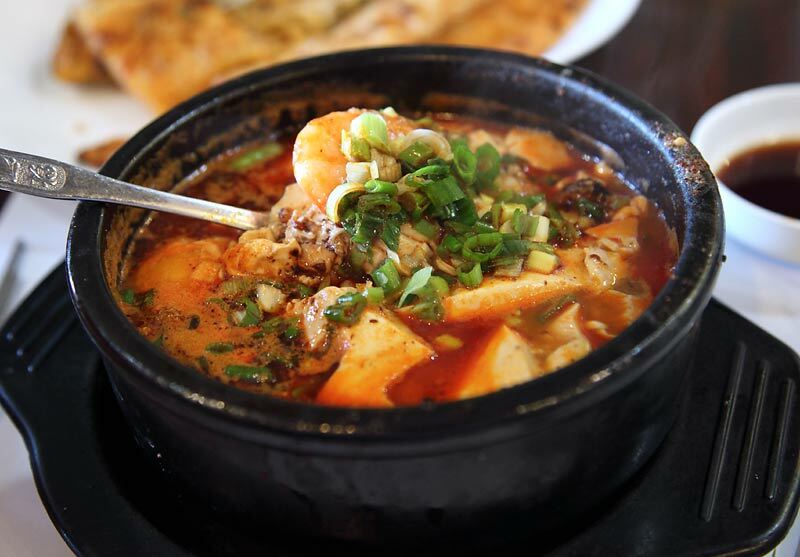 Have you ever been to Cho Dang Tofu House in Mount Prospect? This is their original restaurant and is still in existence. I've been on a soon dubu kick the last few years, having tried maybe 25 or so different places. Besides Cho Jung (no affiliation), Cho Dang would be the only other very good bowl I'd happily recommend. The largest difference being that Cho Dang's rice pretty much stinks. Their base soup is also a hair inferior to Cho Jung...but not by a lot. As mentioned above, Cho Jung has stellar soondubu, and for that alone I think it should be in the running for a GNR. 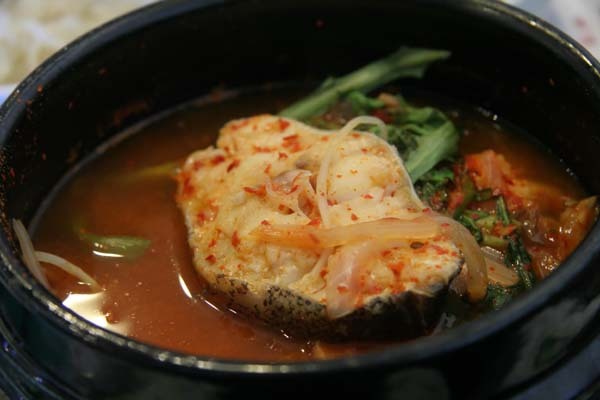 In addition to the soondubu, I've loved the other soups I've tried, the seafood pancake, and the pork and tofu dish. I've also really enjoyed the panchan. I'm a fan of the vibe in the place, too. It's almost as if you've stopped by your friend's mom's place for a home cooked meal. The staff has been friendly and interested in making sure we're enjoying the food. I've only been twice, but based on these two meals, and the fact that I'm itching for many more, I strongly support a GNR for Cho Jung. 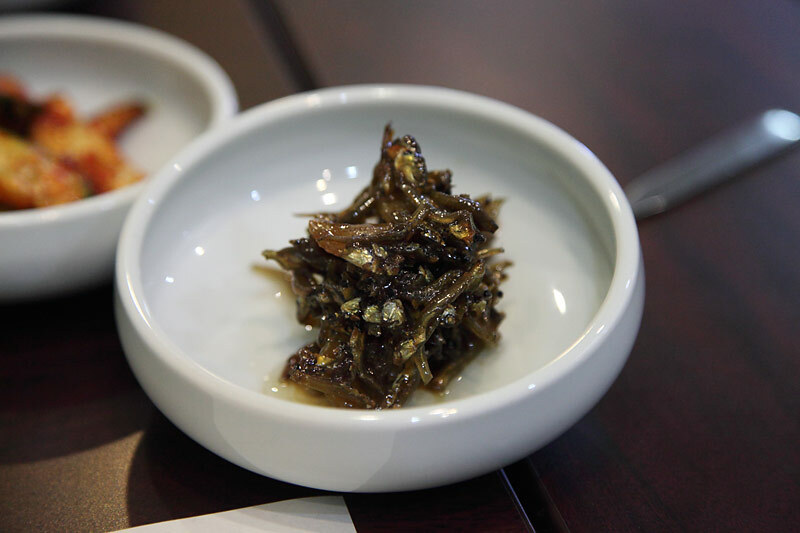 Cho Jung is one of those restaurants that has a specialty (soup) and a secondary specialty (the panchan). Although Ronnie described our first (dinner) meal as moderately successful, I think it is better to describe it as moderately unsuccessful. I left with a feeling that I would not return, and didn't until the LTH lunch, which was much better, because at that point we focused on the soup and the panchan (which is as good as any Korean panchan I have had). I don't eat tofu, which eliminates the star dish for me, but the other soups were very fine. 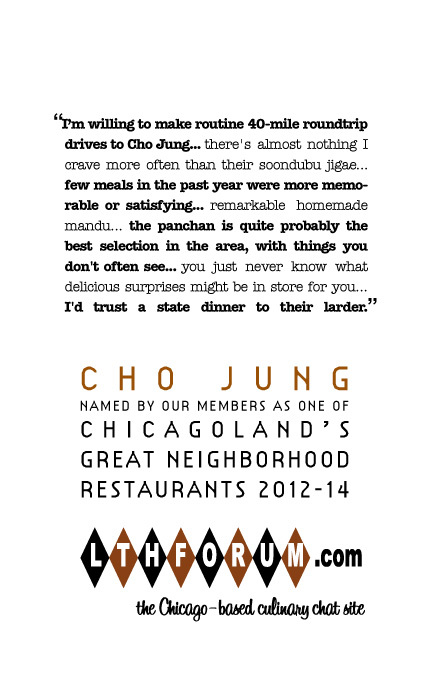 I am not writing in opposition to a GNR designation, but simply to note that Cho Jung is one of those restaurants that does a few things very well, and others less well than comparable restaurants. Good for the panchan and the soup. 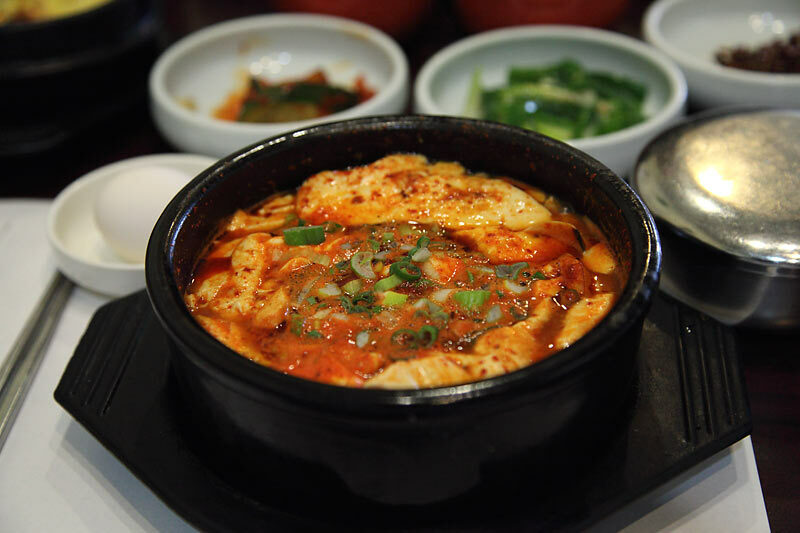 Due to this nomination, I took a trip out to Glenview yesterday to try their soondubu. I wonder if I went on an off day because I just didn't love it as much as everyone else. Yes, it's got a generous portion of tofu and seafood and came out bubbling hot. But the broth was just too bland in my opinion. Spicy but bland if you can imagine that. We also tried the seaweed and oyster soup, which was mild and had a little more flavor in the broth. But it reminded me of the powdered wakame soups I ate in college. Sesame and seaweed in a water broth. We ordered the fried mandoo too. It was crispy and tasted good. The filling is pretty standard for Korean dumplings, I've had something similar from the frozen case in Joong Boo. That's totally fine, Katy's does pretty standard filling too. I enjoyed it. Based on all the rave reviews of the pan chan, I guess I expected more. We had three types of kimchi, sesame oil spinach, some other boiled limpy greens, and soybean sprouts. I would've liked more variety like a potato salad or fried anchovies to get more textures. The pics of the fried anchovies look awesome, I really wish we had had them. For Korean soups, there are other restaurants that I think do it better. ^ I believe you need to specify that you want the soup spicy. Even then it may take one or two visits before they believe you. Not ideal, but the world can be an ugly place. 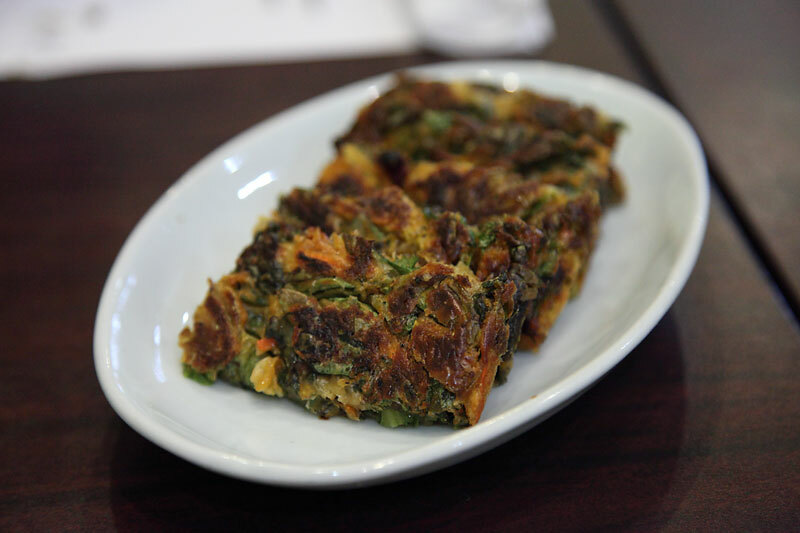 In addition to the other favorite mentioned above, I quite enjoy the kimchi pancake and the dotorimuk salad. The latter may be an acquired taste, though. In case the preceding is not clear, this is a big "YES" vote.